Hiring tumbled in February, with U.S. employers adding just 20,000 jobs, the smallest monthly gain in nearly a year and a half. 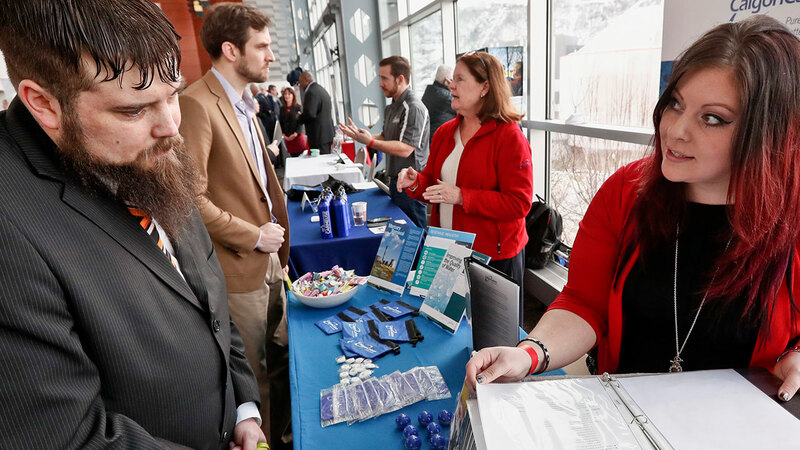 The sharp slowdown in hiring, which might have been worsened by unseasonably cold weather, came after employers had added a blockbuster 311,000 jobs in January, the most in nearly a year. In the past three months, job gains have averaged a solid 186,000. Still, the pullback comes amid signs that growth is slowing because of a weaker global economy, a trade war between the United States and China, and signs of caution among consumers. The unemployment rate fell to 3.8 percent last month from 4 percent in January, the Labor Department said in its monthly jobs report. Businesses stepped up their competition for workers and raised average hourly pay 3.4 percent from a year earlier, the largest gain in a decade. Slowing global growth, a trade war with China and signs of increased caution among consumers have led many economists to forecast weaker growth in the first three months of this year. Still, most analysts expect businesses to keep hiring and growth to rebound in the April-June quarter. It will be harder than usual, though, to get a precise read on the economy because many data reports are still delayed by the partial shutdown of the government, which ended Jan. 25.